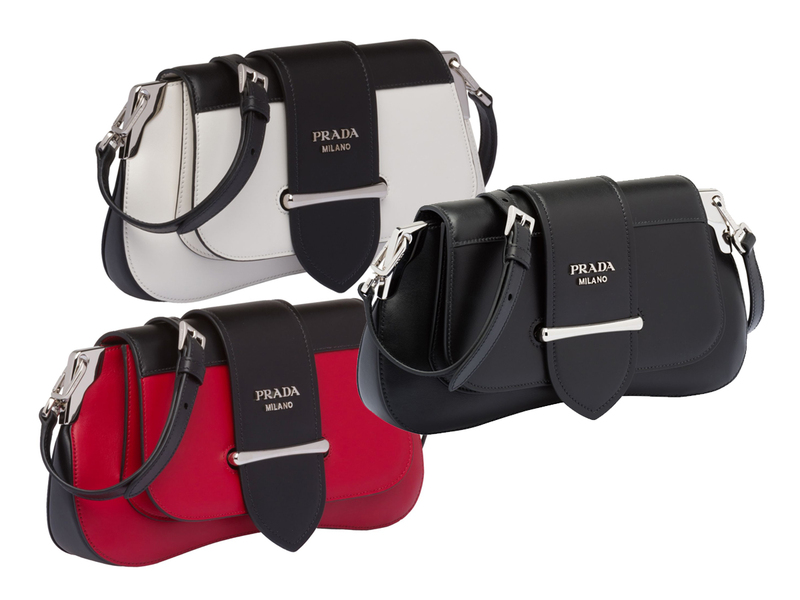 On first glance, Prada’s all-new bag does remind you of its older sister Cahier, but if you stare at it long enough you’ll realise differences between the two. While the front flap strap and hardware buckle are the same between the two, the bag’s shape is considerably different. For one, the Cahier was inspired by the profile of a hardcover tome, while the Sidonie, on the other hand, is all about smooth, curvaceous lines with design cues from the bags of Prada’s Spring-Summer 2000 show. It’s pretty wide, measuring 28 cm by 14 cm, and armed with a thick detachable leather handle that can be carried comfortably over the shoulder like a chic handbag. Miuccia Prada is one designer who always keeps function in mind when designing bags, which is why this piece is armed with a second strap that’s longer and adjustable, allowing you to sling it beautifully across the body. If you’re all about being the first to carry and the first to own something from an upcoming collection, here’s the good news. 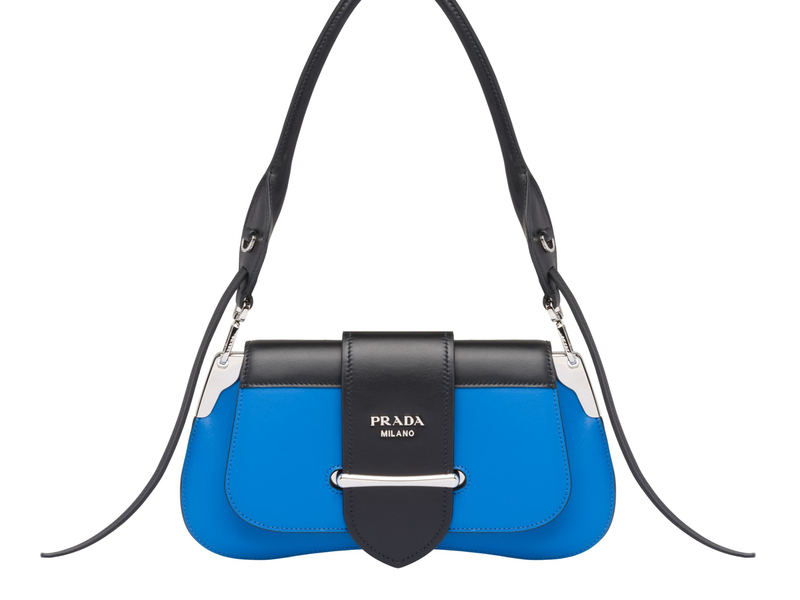 The Sidonie (SGD4730) is part of Prada’s Resort 2019 collection and is currently available in boutiques with 5 colours to choose from. There’s Black, Blue, Brown, Red and White that all come with black leather straps and finished with silver metallic hardware, so it’s really down to selecting which of the 5 you love best.